Established in 2009, K L Bags, are continuing the hard work with a sole mission of keeping the relationship of faith and trust intact between our revered customers and us. Therefore, we never let any flaw peep into the production job works as we make sure to manufacture and provide our products with high-end precision. 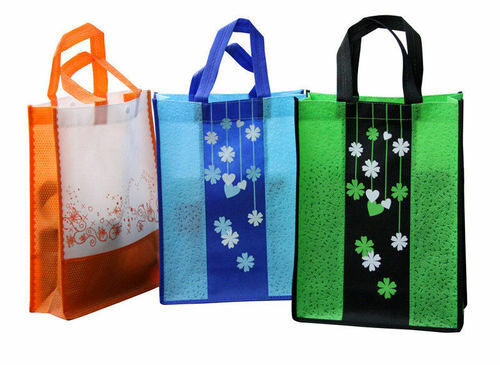 As an eminent manufacturer of promotional items, which comprises of Promotional T-shirts, Promotional Canopies, Promotional Umbrella, Promotional Car Sun Shade, Promotional Bags, Promotional Printing Bunting Stand, Promotional Caps, Promotional Offset Banner, Promotional PVC Balloon and Promotional Rubber Balloon. we have bestowed a realistic picture of showing our commitment towards our patrons. Our organizational foundation is firmly rooted on the advanced infrastructural setup. Progressive and advanced technologies are integrated in our production unit. We are one of the most sought after firms in the present market known for completing the given assignments within the promised time frame. In addition to this, we also provide customization facilities and solutions to our clients.